Take advantage of promotional credit card offers for new customers, including bonus cash, points, airline miles, and balance transfer offers. Apply and be on your way to redeeming your rewards. Here is the complete GIANT list of credit card promotions and bonus offers on CreditDonkey. Check out the credit card bonuses below to find the one that's right for your spending habits. How does everyone else seem to get enough miles and points to score free hotel stays and flights? The smartest deal seekers know that applying for a new credit card promo is a smart way to make leeway on their mileage balance. Lean in. Credit card companies are now offering new deals and lucrative bonus promotions for new customers. In one short list, we're going to tell you the featured credit card bonus on CreditDonkey - but it's only available for those with excellent credit. Like to travel? If you spend over $1,334 per month on your credit card, this promotion is for you: Chase Sapphire Preferred. You'll earn 60,000 bonus points after you spend $4,000 on purchases in the first 3 months from account opening. That's $750 toward travel when you redeem through Chase Ultimate Rewards®. There is a $95 annual fee. Besides the lucrative Chase credit card promotion, the Sapphire Preferred also gets our attention because you can earn 2X points on travel and dining at restaurants & 1 point per dollar spent on all other purchases worldwide. For folks who eat out or travel often, this credit card is worth signing up for. And there's more. Frequent travelers know airline miles are the key to saving money, and the Chase Sapphire Preferred lets you transfer the rewards points to participating frequent travel programs — at full 1:1 value. This card was made for international traveling. There's no foreign transaction fee. Plus, you get premium travel perks, such as trip cancellation and trip interruption insurance -- and purchase protection benefits such as extended warranty. To learn more, read our Chase Sapphire Preferred Review. We'll discuss the reasons why we like the card (and the reasons you may want to skip it). Airline / Delta: If you spend over $334 per month on your credit card and like to fly Delta, consider the Gold Delta SkyMiles Credit Card from American Express, a CreditDonkey partner. You'll earn 30,000 bonus miles after you spend $1,000 on the card within the first 3 months. You can redeem the miles toward award travel. Domestic one way award tickets start at 10,000 miles (plus taxes and fees) for travel within and between the Continental U.S., Alaska and Canada. You'll earn 2 miles per dollar spent on eligible purchases made directly with Delta and 1 mile for every eligible dollar spent on other purchases. Additional benefits include: check your first bag free on Delta flights; Main Cabin 1 priority boarding; and no foreign transaction fees (See Rates & Fees). There is a $95 annual fee ($0 introductory annual fee for the first year) (See Rates & Fees). For some travelers, the $95 annual fee is worth it. For example, the ability to check your first bag free on every Delta flight is a potential savings of up to $240 per round trip for a family of four. To learn more, read our Gold Delta SkyMiles review. One of the biggest mistakes you can make when in the market for a new cashback credit card is applying for the first credit card bonus offer that comes along. You could be missing out on a lucrative bonus offers that could put cash in your pocket for using the new card frequently within the first few months of owning it. Don't miss out. Cash Back Deal: Chase Freedom Unlimited lets you earn 3% cash back on all purchases in your first year up to $20,000 spent. After that earn unlimited 1.5% cash back on all purchases. There is also a 0% intro APR for 15 months from account opening on purchases and balance transfers, then a variable APR of 17.24-25.99%. The balance transfer fee is 3% of the amount transferred, $5 minimum. The cash back rewards will not expire as long as your card account remains open. There is no annual fee. Supermarket & Gas: If you spend over $333 per month on your credit card, consider the Blue Cash Preferred. This card from American Express, a CreditDonkey partner, offers a $200 statement credit after you spend $1,000 in purchases on the card in the first three months. And grocery shoppers should pay attention, because this credit card earns 6% cash back at U.S. supermarkets on up to $6,000 per year in purchases (then 1%) and 3% at U.S. gas stations. That means if you spend $100 a week on groceries at your local U.S. supermarket, you would earn back $312 a year. But what's the catch? The card comes with a $95 annual fee (See Rates & Fees). Otherwise, you might want to consider the Blue Cash Everyday, the no annual fee sibling. Instead of the 6% cash back at U.S. supermarkets, the Blue Cash Everyday earns 3% cash back at U.S. supermarkets (on up to $6,000 per year in purchases, then 1%) and 2% at U.S. gas stations. With the Blue Cash Everyday, you can earn a $150 statement credit (instead of $200) after you spend $1,000 in purchases on the card in the first three months. And the Blue Cash Everyday has a 0% intro APR on purchases and balance transfers for 15 months. After that, a variable APR, currently 15.24% - 26.24% Variable (See Rates & Fees). Can't decide which American Express promotion to apply for? Read our in-depth Blue Cash Review here. If you spend over $667 per month and pay off your card in full each month, consider the American Express Gold Card. American Express Gold earns 35,000 Membership Rewards® Points after spend $2,000 on eligible purchases with your new Card within the first 3 months. This card earns 4x points at U.S. restaurants. 4x points at U.S. supermarkets (on up to $25,000/year in purchases, then 1x). 3x points on flights booked directly with airlines or on amextravel.com. You can earn up to $10 in statement credits monthly when you pay with The Gold Card at Grubhub, Seamless, The Cheesecake Factory, Shake Shack, and Ruth's Chris Steak House (enrollment required). There is a $250 annual fee (See Rates & Fees). This card includes benefits for travelers: There is no foreign transaction fee (See Rates & Fees) and a $100 airline fee credit to cover up to $100 per calendar year in incidental fees (such as baggage fees) at one selected qualifying airline. Terms apply. To learn more, read our American Express Gold review. If you spend over $1,667 per month and pay off your card in full each month, consider the Platinum Card from American Express, a CreditDonkey partner. You'll earn 60,000 points after you use the card to make $5,000 in purchases within the first three months. You earn 5x points on flights booked directly with airlines or with American Express Travel. You can also get up to a $200 airline fee credit per year toward baggage fees and more at one airline (you need to enroll and select a qualifying airline in advance). Additional benefits include: Up to $200 for Uber rides annually; Platinum Card Concierge; access to 5 airport lounge networks including complimentary access to Delta Sky Club lounge and Priority Pass Select (requires enrollment at no additional cost); and up to a $100 credit toward Global Entry or TSA Pre application fee every 4 years. But this card is not for anybody. There is a $550 annual fee (See Rates & Fees). To learn more, read our Platinum Card review. Do you own a small business? Even being an independent contractor makes you a small business. For business owners, consider the American Express Business Platinum Card instead. While the business card has a higher minimum spending threshold to qualify for the bonus, you'll enjoy some benefits that the personal Platinum Card does not offer. You'll get 10 Gogo inflight internet passes annually. And when you use Membership Rewards Pay with Points for flights with your selected qualifying airline, you'll get 35% of the points back (for up to 500,000 bonus points per calendar year). To learn more, read our Business Platinum Card review to see if it makes sense for your business. These small-business credit card promotions are not just limited to businesses with lots of employees. If you do freelance work or have a side business selling stuff on eBay, you, my friend, are an entrepreneur and a business owner. If you do business in your own name, you are usually a sole proprietor. In that case, you would enter your name as your business name on the application and your Social Security number as the tax ID. Why Your Business Should Consider This Card: You get 3% cash back on the category of your choice (from a list of 8 select categories, on purchases up to $50,000 per calendar year, then 1% applies thereafter). If your business tends to entertain a lot of clients at restaurants, then you can choose the "purchases at U.S. restaurants" category. But say you rarely entertain clients, but you spend a lot on online advertising, then you would choose "U.S. purchases for advertising in select media". Select media includes media providers such as Google, Facebook and Yahoo. But regardless of which category you choose, most businesses still need office supplies and cell phone services. That's why this card offers 5% cash back at U.S. office supply stores (such as Staples and Office Depot) and wireless telephone services (purchased directly from U.S. service providers such as Verizon, AT&T, T-Mobile, and Sprint). The 5% applies to the first $50,000 in purchases per calendar year (then 1% applies thereafter). How about other purchases? You'll earn 1% on those, so choose your category wisely. To learn more, read our SimplyCash Plus review to see what we like (and dislike) about this business cash back credit card. To learn more, read our Blue Business review, including the reasons to choose the card (and the reasons to look elsewhere). Other people seem to have a pulse on the latest credit card bonuses. Now you can be in-the-know with our list of current promotional bonus offers on CreditDonkey. Here you can find the bonus promos, so you can get rewarded with miles, points, or even cash just for using your new card. Whether you're a big spender or only use your credit card occasionally, a card with cashback is a great way to get rewarded for your purchases. Compare the offers below from our partners to find one that offers the promotions, bonus categories, and other perks that is right for you. Keep in mind that some credit cards charge an annual fee. Blue Cash Everyday® Card from American Express offers a $150 statement credit after you spend $1,000 on purchases within the first three months of opening your new credit card account. This card earns 3% cash back at U.S supermarkets (on up to $6,000/year in purchases, then 1%), 2% cash back at U.S gas stations and at select U.S. department stores, and 1% on other purchases. The cash back is received in the form of Reward Dollars that can be redeemed for statement credits, gift cards, and merchandise. There is a 0% intro APR for 15 months on purchases and balance transfers, then a variable rate, currently 15.24% to 26.24%. There is no annual fee. Terms apply. 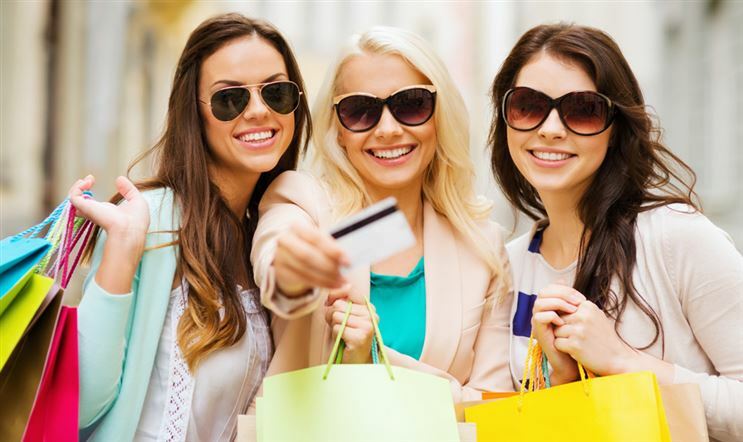 Blue Cash Preferred® Card from American Express offers a $200 statement credit after you spend $1,000 on purchases within the first three months of opening your new credit card account. This card earns 6% cash back at U.S. supermarkets (on up to $6,000/year in purchases, then 1%), 3% cash back at U.S. gas stations, and 1% on other purchases. The cash back is earned in the form of Reward Dollars that can be redeemed for statement credits, gift cards, and merchandise. There is a 0% intro APR for 12 months on purchases and balance transfers, then a variable rate, currently 15.24% to 26.24%. There is a $95 annual fee. Terms apply. American Express Cash Magnet® Card offers a $150 statement credit after you spend $1,000 or more in purchases with your new Card within the first 3 months of Card Membership. This card earns 1.5% cash back on purchases. The cash back is received in the form of Reward Dollars that can be redeemed for statement credits, gift cards, and merchandise. There is a 0% intro APR for 15 months on purchases and balance transfers, then a variable rate, currently 15.24% to 26.24%. There is no annual fee. Terms apply. Disclaimer: The information for the Wells Fargo Cash Wise Visa® Card, Chase Freedom, Discover it® Cash Back, Discover it® Student Cash Back, and Capital One® Quicksilver® Cash Rewards Credit Card has been collected independently by CreditDonkey. The card details on this page have not been reviewed or provided by the card issuer. Score miles or points toward an award flight, lounge access, or other perks after applying for a promotional offer with an airline credit card. Compare the cards below from our partners to find one that fits your travel style and your budget. Keep in mind: the cards with the most generous offers also typically have the highest fees. Chase Sapphire Preferred® Card lets you earn 60,000 bonus points after you spend $4,000 on purchases in the first 3 months from account opening. That's $750 toward travel when you redeem through Chase Ultimate Rewards®. This card lets you earn 2X points on travel and dining at restaurants & 1 point per dollar spent on all other purchases worldwide. Chase Sapphire Reserve® lets you earn 50,000 bonus points after you spend $4,000 on purchases in the first 3 months from account opening. That's $750 toward travel when you redeem through Chase Ultimate Rewards®. This card offers a $300 Annual Travel Credit as reimbursement for travel purchases charged to your card each account anniversary year. Disclaimer: The information for the Capital One® Venture® Rewards Credit Card, Southwest Rapid Rewards Premier Credit Card, Capital One® VentureOne® Rewards Credit Card, Platinum Delta SkyMiles® Credit Card from American Express, and Citi® / AAdvantage® Platinum Select® World Elite™ Mastercard® has been collected independently by CreditDonkey. The card details on this page have not been reviewed or provided by the card issuer. Hilton Honors American Express Card offers 75,000 Hilton Honors bonus points if you spend $1,000 in purchases within the first three months of opening your new card account. This card earns 7x points for eligible purchases charged on your card directly with a Hilton hotel or resort. You will earn 5x points for eligible purchases at U.S. restaurants, U.S. supermarkets, and U.S. gas stations. Plus, you will get complimentary Hilton Honors Silver status. If you spend $20,000 on eligible purchases in a calendar year, you can earn Gold status (through the end of the next calendar year). There is no annual fee. Terms apply. Get reward points deals from your credit card. Compare offers from our partners and take advantage of points for cash, merchandise, flights, hotels, travel, and more. Disclaimer: The information for the Wells Fargo Propel American Express® Card, The Amex EveryDay® Credit Card from American Express, The Amex EveryDay® Preferred Credit Card from American Express, Citi Premier℠ Card, Citi Prestige® Card, and Bank of America® Travel Rewards credit card has been collected independently by CreditDonkey. The card details on this page have not been reviewed or provided by the card issuer. Find special deals and offers for your business. We've selected some of the top credit cards from our partners for you to compare below. 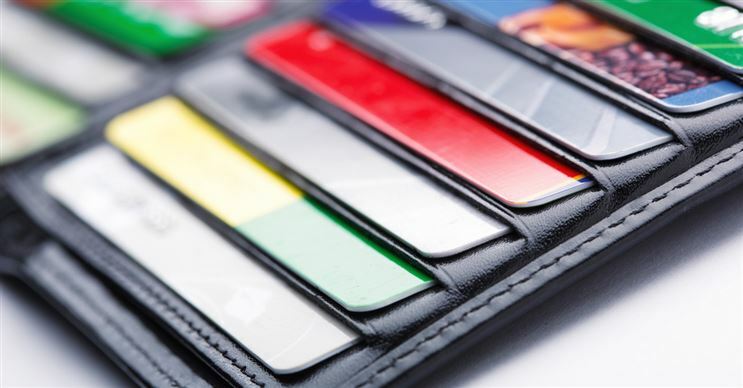 Be sure to estimate how heavily you expect to use the card before choosing one with an annual fee. SimplyCash® Plus Business Credit Card from American Express offers a 0% intro APR on purchases for 15 months; after that your APR will be a variable rate, currently 14.49% - 21.49%. This card earns 3% cash back on the first $50,000 spent on the category of your choice (from a list of 8 select categories). This card earns 5% cash back on the first $50,000 spent at wireless telephone services purchased directly from U.S. service providers and at U.S. office supply stores. Other purchases earn 1% cash back. The cash back earned is automatically credited to your statement. There is no annual fee. Terms apply. American Express® Business Gold Card earns 35,000 Membership Rewards® points after you spend $5,000 on eligible purchases within the first 3 months. This card earns 4X Membership Rewards® points on the 2 select categories where your business spent the most each month. The 4X points apply to the first $150,000 in combined purchases from these 2 categories each calendar year. There is a $295 annual fee. Terms apply. The Business Platinum® Card from American Express offers up to 75,000 points. You earn 50,000 Membership Rewards® points after you spend $10,000 and an extra 25,000 points after you spend an additional $10,000 all on qualifying purchases within your first 3 months of Card Membership. You get 5X Membership Rewards® points on flights and prepaid hotels on amextravel.com. Earn 1.5 points per dollar on each eligible purchase of $5,000 or more (up to 1 million additional points per year). Earn 1 point per dollar for qualifying purchases under $5,000. You can use Membership Rewards® Pay with Points for all or part of a flight with your selected qualifying airline, and you can get 35% of the points back (up to 500,000 bonus points per calendar year). There is a $595 annual fee. Business Green Rewards Card from American Express offers 5,000 Membership Rewards® points if you make your first purchase with your new card. There is a $95 annual fee ($0 introductory annual fee for the first year). Terms apply. The Hilton Honors American Express Business Card offers 125,000 Hilton Honors bonus points after you spend $3,000 in purchases in the first 3 months of Card Membership. This card earns Hilton Honors Bonus Points for each dollar of eligible purchases on your Card: 12X at hotels & resorts in the Hilton portfolio, 6X on Select Business & Travel Purchases, 3X Everywhere Else. Plus, you receive complimentary Hilton Honors Gold status. You can earn a Weekend Night Reward from Hilton Honors after you spend $15,000 in purchases on your Card in a calendar year. You earn another Weekend Night Reward from Hilton Honors after you spend an additional $45,000 in purchases on your Card in the same calendar year. There is a $95 annual fee. Terms apply. Platinum Delta SkyMiles® Business Credit Card from American Express offers 35,000 bonus miles and 5,000 MQMs after you make $1,000 in purchases on your new card within the first 3 months. In addition, you can earn a $100 statement credit after you make a Delta purchase within your first 3 months. This card earns airline miles: 2 miles per dollar spent on purchases made directly with Delta and 1 mile for every eligible dollar spent on other purchases. There are no foreign transaction fees. There is a $195 annual fee. Delta Reserve for Business Credit Card offers 40,000 bonus miles and 10,000 MQMs after you make $3,000 in purchases on your new card within the first 3 months. You can earn 15,000 Medallion® Qualification Miles (MQMs) and 15,000 bonus miles after you reach $30,000 in eligible purchases on your Card in the calendar year. This card earns airline miles: 2 miles per dollar spent on eligible purchases made directly with Delta and 1 mile on every eligible dollar spent on other purchases. You can enter Delta Sky Club at no cost. There are no foreign transaction fees. There is a $450 annual fee. Terms apply. Marriott Bonvoy Business™ American Express® Card offers 100,000 bonus Marriott Bonvoy points after you spend $5,000 in purchases within the first 3 months of opening your new account. This limited time offer ends 04/24/2019. Earn 6x points at participating Marriott Bonvoy hotels. Earn 4x points at U.S. restaurants, at U.S. gas stations, on wireless telephone services purchased directly from U.S. service providers and on U.S. purchases for shipping. Earn 2x points on all other eligible purchases. You receive 1 Free Night Award every year after your Card account anniversary. Plus, you can earn an additional Free Night Award after you spend $60K in purchases on your Card in a calendar year. Free Night Award can be used for one night (redemption level at or under 35,000 points) at a participating hotel. Certain hotels have resort fees. There is a $125 annual fee. Terms apply.